A perfect lawn is the owner’s pride and joy. However, a lot of effort goes into achieving that ideal lawn. Mulching can assist in reducing evaporation of water from the ground and to keep the soil cool (Source). For one, you must have a sturdy and efficient lawnmower. Second, and arguably the most important, the mulching blade on your lawnmower mustn’t be just good, it must be great. The blade determines the uniformity of the cut, in addition to the effectiveness of the mulching. For this reason, picking out the right blade after the original blade breaks down is vital. You must consider the fit, the durability, and the compatibility. 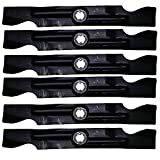 To help make the best decision, here is a review of the best mulching blades. 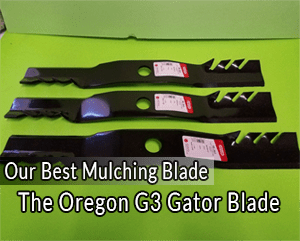 The Oregon G3 Gator Blade is our top choice because unlike most blades, this one holds up well when dealing with a wide variety of conditions including sandy yards. The Oregon Gator blades are austempered heat treated. As a result, they have a 20% harder steel which makes them hardy, durable and ensures they have a longer blade life. Consequently, though the sandy soil is usually hard on the rear lip of a blade, the Oregon Gator blade handles this and lasts longer than most. The hardiness also guarantees that harsh conditions such as branches or walnuts will not affect the blade. The blades come in a pack of 3, and they will fit any 54” decks for lawn mowers such as Poulan Pro, Husqvarna, and Craftsman. Such kind of versatility ensures you need not worry about your lawn mower’s brand. As long as it has a 54” deck, then the blade will work correctly. The Oregon Gator blades are 18.5” long, 2.5” wide and .187” thick. Coupled with the unique design; these specifications ensure the blade will cut through grass quickly and easily. That means you do not need multiple passes to cut your grass to size unless your grass is knee-deep high or over 2 feet. Made in the USA, the blades are easy to attach which means you spend minimal time getting the mower ready. Also, the blades are easy to sharpen when they begin to get a bit dull. Finally, the blades have a proper clipping discharge. That makes the mower a hundred times more efficient. The blade is of high-quality and long-lasting. The blade fits most 54” decks irrespective of brand. Not the best fit for a six-leg star mounting spindle. Toro 22" Recycler Mower Replacement Blade 59534P Display pack contains 131-4547-03 (Genuine). The Toro Recycler was designed as a replacement blade for a wide range of Toro branded lawn mowers. Not to say that it will not fit other lawn mowers, but it is uniquely suited to Toro mowers. Please note that though the blade is listed as a Toro OEM blade—the same blade that Toro Recycler or Personal Space 22 comes with—that is not so. If anything, it is more of a rotary copperhead blade. That does not diminish its effectiveness. Actually, it increases effectiveness because it is made from premium-grade high carbon steel. The high carbon steel ensures it has better performance and long life. That means it cuts grass that is really fine and can quickly deal with grass that is a little wet without leaving brown spots. Also, it will last for a considerable amount of time before you need to replace it. The specs on this are; 21.68” in length, 2.25” in width and 0.15” in thickness. These specs combined with the vertical teeth provide cutting efficiency. The cutting surface accounts for the mulching although a common observation is that the mulching is not on par with the mulching observed on the original blade. The blade is sharp on arrival but it also easy to sharpen when it goes dull. It is easy to install which ensures you won’t waste time during the installation process. The blade is versatile because it can fit a wide range of Toro branded products. The blade works better than the original when it comes to cutting grass. Might not be ideal for most lawn mowers that are not Toro branded. The fact that this blade is universal means it can fit any mower brand as long as it is a 21-Inch Cut Mower. As a result, it is one the highest rated replacement blade for most lawn mowers. The blade has sharpened vertical cutting teeth which facilitates a fine even cut. You will not need more than one pass unless your grass is high. Also, when mowing in the morning and the grass is a bit damp, the teeth and cutting surface guarantees no clumping. Additionally, the blade has a greater cutting surface for increased mulching. As a result, both the cutting of grass and mulching are at 100% when using this blade. The blade has a one-inch center hole that has reducing washers of 3/8 inch, 7/16 inch, 9/16 inch, ½ inch, 5/8 inch and 13/16 inch. This facilitates greater versatility because you can use the washer to reduce the bore and ensure the blade fits the mower you are trying to fit the blade to. Note though, that the center hole is round and that means if you have a star adapter, you may need to adjust if you want the blade to fit well. The blade is easy to install on any mower which ensures convenience. Finally, it essential to note that the blade has a centrifugal airlift design. The design facilitates a uniform chopping distribution. The blade is coated to prevent rusting. The blade is universal hence fitting is not an issue. Made in the USA and it adheres to all the quality assurance checks. The blade does not provide for a star adapter. The first thing to note about these blades is that the Stens company manufactures them. Stens is a well-known industry leader in the manufacture of aftermarket replacements parts. They are known for high-quality products, and these blades are no different. Second, these blades come as a six-piece package. The fact that that six-piece package is affordable guarantees you get value for your money. The blade is 18” long, 2 ½ inches wide and .149” thick. While it is not a universal blade, the 6-point star center hole ensures it comfortably fits a wide variety of models aside from the ones listed. It is made from a high-quality alloy of carbide and industrial grade steel which makes the blade hardy and durable. The hardiness ensures the blade will easily handle harsh conditions such as roots, sand, and pebbles. That they are six blades means they can easily last you years before you have to replace them. It also saves you the hassle of ordering replacement blades now and then. 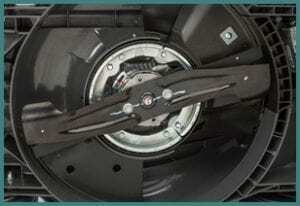 Another considerable advantage is that the blades are easy to install. It saves you time. 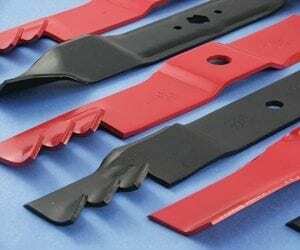 In some cases, where the blades have proved too long for a particular unit, cutting the blades has proved to be a viable solution. The cutting does not affect the effectiveness of the blade; it just ensures it fits that specific lawn mower. The blades come at an economical price for a large number of mulching blades. The blades work well in both natural conditions and tougher conditions without compromising on efficiency. The blades are of high-quality and long-lasting. The blades might be hard to clean in some situations. The Rotary Copperhead mulching blades are highly rated for two principal reasons. First, the blades are made from titanium alloy alongside a bit of carbide. The alloy ensures the blades are as strong as possible. That means they are long lasting and you will use them for a long time before you need to replace. Also, the fact that they are strong guarantees they can handle rougher conditions without breaking down. The harsh conditions may include using the blade on a sandy yard, using it on an uneven yard or using it on a yard full of branches, and root outcroppings. Second, the blades have unique, differentiated teeth that give the best result. They cut grass uniformly and facilitate excellent mulching. The blades have a six-star hole that can comfortably fit a majority of past and present lawn mowers. The ability to fit a wide variety of lawn mowers makes them ideal replacement blades. The blades are 18 ½” inches long, 3” wide and .204” thick. Note that it requires three blades to fit a 54” cut and that is why the blades come as a set of 3. Note also that because of the titanium alloy, the blades are a bit heavy compared to most. The increase in weight helps facilitate better mulching, but it is possible your mower may not be able to handle the load. Therefore, ensure you check your mower’s HP before purchase. 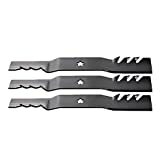 Finally, similar to the Stens’ blades, these blades are manufactured by a reputable company, and they are easy to install. The blades are sharp and efficient even when faced with bushes and thickets. They provide uniform mowing and mulching. Some may consider the heaviness a flaw. When you purchase a mulching blade, it should be able to get the job done and done right. For that to happen, there are a couple of factors you ought to take into account. The length of the blade determines two significant factors—compatibility and effectiveness. With regards to compatibility, it is vital to know if the blade’s length is compatible with your lawnmower. In essence, will it fit? You need to have the specs of your mower in mind when purchasing a blade. Compare those with the blade’s specifications to determine if the blade will fit. Otherwise, you will end up buying a blade you cannot use. Second, the blade’s length determines how many passes you will need to mow your lawn effectively. The longer the blade, the less the passes and vice versa. Some blades come as a one-piece, others as a three-piece and others a six-piece. The number of pieces will determine how the blade fits on the mower. Consider the Rotary Copperhead mulching blades discussed above. Three blades are required to fit a 54” cut. The number of pieces will also determine the cost because the more the pieces, the pricier the blades. Always go for the number of pieces you are most comfortable with, and that gives you the best value for your money. The weight of the blade will determine how quickly you can pick up and move your lawn mower. It will also determine how quickly you will be able to install the blade and take it off. The heavier the blade, the harder it is to maneuver it. Always go for a weight you can manage effortlessly. It is essential that you always aim for durability. It is irritating and costly when you have to order a blade every three months because the blade keeps breaking down. Go through the product’s page and critically analyze the material used when making a particular blade. Is the material used industrial-grade steel? Has the steel been austempered heat treated to make it stronger? Is the blade made of another alloy that is equally strong? Those are the questions you ought to ask before settling on a particular brand. Once you’ve satisfactorily obtained the answers to these questions, you are now in a better position to purchase a durable blade. Warranty is crucial. Sometimes you might purchase a blade with a star center hole only to realize your lawn mower’s adapter is round. In such a situation, you need to return the blade so that you can get one that fits. Unless the blade has a warranty, the seller might refuse to take the blade back. Before settling on a purchase, check to ensure the warranty is intact. If you have considered everything and still cannot come to a decision, then you can always use the blades’ brands to differentiate them. 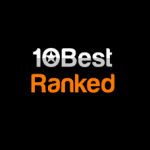 That means you go for a well-known brand because chances are; their good reputation is as a result of producing high-quality products consistently.